The teasing sure didn’t last long. Just a month ago, Night Dive hinted that maybe—maybe—there might be a System Shock 3 one day, the implication being that we’d get it after Night Dive completed the System Shock remake that’s currently in the works. Surprise! 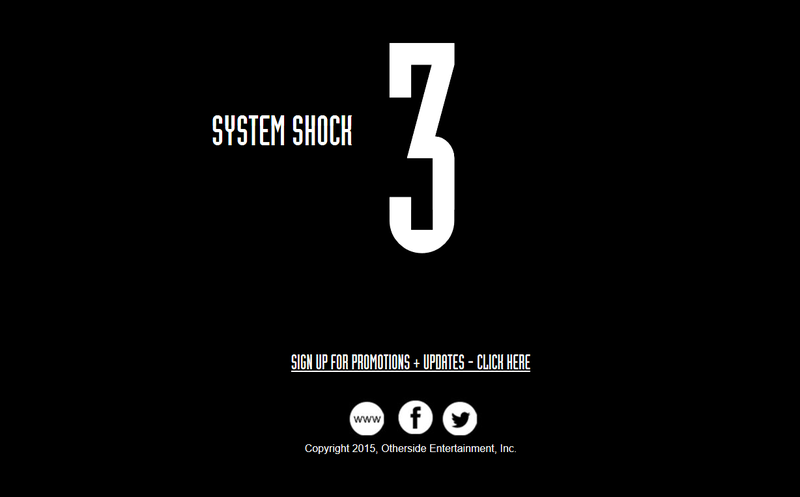 System Shock 3 is in the works right now. The Internet decided waiting was for suckers, and a member of the RPG Codex forum trawled the source code to find this page prepped for Sunday. The question now becomes one of scale. Otherside turned to crowdfunding for Underworld Ascendant, raising about $850,000 through Kickstarter. I did some back-of-envelope math and, well, I don’t think a similar campaign would raise enough money to fund the System Shock sequel everyone wants. You’d need a crowdfunding miracle like Star Citizen to get a budget in line with most modern first-person shooters. Ouch. Reality. We’ll see what Sunday has in store—perhaps System Shock 3 is happening with the backing of a major publisher, or Bill Gates has been waiting his whole life to fund this game. It's hard to know for sure.